The Vinota website (the "Site"), provides you with the online communications service ("Service") offered by Vinota Networks Pte LTD ("Vinota"), through which various Vinota communication Software (as defined below) may be downloaded, subject to your compliance with the terms and conditions set forth below. PLEASE READ CAREFULLY AND REVIEW ALL OF THE TERMS, CONDITIONS, AND STATEMENTS MADE WITHIN THIS AGREEMENT AND THROUGHOUT THIS SITE, BEFORE CONSENTING TO THIS AGREEMENT. ONCE YOU REGISTER WITH VINOTA YOU ARE EXPRESSLY AGREEING TO BE LEGALLY BOUND TO AND BECOME A PARTY TO THIS AGREEMENT AND ANY OTHER TERMS CONTAINED THROUGHOUT THIS SITE. IF YOU DO NOT AGREE TO ANY OR ALL OF THE TERMS OF THIS AGREEMENT, DO NOT REGISTER FOR THE VINOTA SERVICE. If you do not wish to be bound by these terms and conditions, you may not access or use the Site, Software or Service. Vinota may modify this Agreement, including but not limited to, its rates or any terms or conditions, at any time by posting such modification on the Site and such modification shall be deemed effective immediately upon posting of the modified Agreement. You agree to review this Agreement and Site regularly as there may be modifications. Your continued access or use of the Site, Software or Service shall be deemed your acceptance of the modified Agreement. Vinota may also make changes to the Site, Software or Service at any time without notice. Vinota reserves the right to change or update information on the Site without notice. All images, text, graphics, logos, sound, programs and any other material found on the Site are protected by United States copyright law and international treaties. Any reproduction or use of such material by you is expressly prohibited. Elements of the Site are protected by trade dress and other laws and may not be copied or imitated in whole or in part. c. ARBITRATION NOTICE AND CLASS ACTION WAIVER. EXCEPT FOR CERTAIN TYPES OF DISPUTES DEFINED IN THE ARBITRATION SECTION BELOW, YOU AGREE THAT DISPUTES BEWTEEN YOU AND US SHALL BE RESOLVED BY BINDING, INDIVIDUAL ARBITRATION AND YOU WAIVE YOUR RIGHT TO PARTICIPATE IN A CLASS ACTION LAWSUIT OR CLASS-WIDE ARBITRATION. Vinota is a prepaid calling charged per min basis. All the charges shown on the website and the APP are shown per min. customer must prepay for the service. Customers will be charged on 60/60 (seconds) increments. Customers can use the funds for calls, Messages or transfer them to a friend. Account. To access and use certain of our Services, you will need to create a membership account on the Site (an "Account"). You must provide accurate and complete information and keep your Account information updated. You are solely responsible for the activity that occurs on your Account, and for keeping your Account password secure; we will not be liable for losses caused by any unauthorized use of your Account by a third party. You may never use a third party's account, registration information, or password on the Services without permission. You must notify us immediately of any change in your eligibility to use the Services (including any changes to or revocation of any licenses from state authorities), breach of security or unauthorized use of your Account. You should never publish, distribute or post login information for your Account. You have the ability to delete your Account by emailing support@Vinota.com. In order to purchase credits for the Services and to charge your Account you shall pay Vinota the rates (offers, deals, plans or similar) as stated on the Site or in the App, by use of such payment methods made available to you by Vinota from time to time. Payments are either made manually by you or through the automatic recharge function activated by you. The automatic recharge function means that when your Account balance is below a certain level, your Account will be automatically recharged with a certain pre-selected amount (the credit card you have connected to your Account will be charged). The automatic recharge function is enabled as a default mode, you can disable this feature at any time by accessing your Account. Subscriptions are automatically renewed unless discontinued by you prior to the occurrence of the new subscription period. All payments are processed via a third party payment processor ("Payment Processor"). You agree to provide complete and accurate payment information and further agree that the processing of payment transactions are subject to the terms, conditions and policies, including privacy policies, of the Payment Processor and your credit card issuer. By entering a credit card number , PayPal Details , CashU details and/or using the Services at Vinota.com, you authorize Vinota to charge your selected payment option for the Credit purchase to use vinota services. You represent that the information you submit is true and accurate, and you agree to pay all charges and fees incurred. Service will begin on the date the credit card is charged. Service is subject to availability and capacity of the Site, Internet connections, and telecommunications vendors and is not guaranteed to be available to you. Call Records are immediately available on the website and you have five (5) days to report any discrepancy. Although Vinota utilizes industry standard security technology to protect your information, Vinota does not guarantee or warrant against third parties breaching its security technology and obtaining and/or using your information. YOU, AND NOT VINOTA, ARE RESPONSIBLE FOR PAYING ANY AMOUNTS BILLED TO YOUR CREDIT CARD BY A THIRD PARTY WHICH WERE NOT AUTHORIZED BY YOU. NO REFUNDS WILL BE GIVEN TO YOU UNDER ANY CIRCUMSTANCES. If you believe that Vinota has charged you in error, you may request for a refund by submitting a written request in English to Vinotaâ€™s customer services at support@Vinota.com. Refund requests carried out through other means shall not be eligible for the refund. For the avoidance of doubt, no refunds shall be given for services paid or credit acquired through vouchers, gift tokens or similar. Vinota reserves the right to deny repetitive refund requests. Any abuse by you of the terms relating to refunds hereunder shall lead to the termination of this Agreement. Any payments older than 30 days are non-refundable. For Vinota credit refund requests please contact support@Vinota.com . transfer from other Vinota users, or promotional amounts given by Vinota, or credit added by Vinota administrators. Vinota will refund you the credit balance of your account, where you have used less than one dollar ($1) of your Vinota Credit. Refunds shall be paid to the person who initially purchased the credit either through the original payment method used or any other suitable method. Repetitive refund requests from the same user would be refused. Vinota reserves the right to change the refund policy without any prior notice. 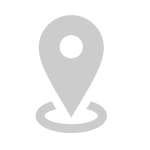 The rates for the Services are published on the Site. Vinota reserves the right to change the rates (offers, deals, plans or similar) at any time without notice. The new rates will apply to your next phone call after the new rates have been published. If you do not wish to accept such adjustment of rates, do not use the Services. No refunds are available. You agree that by continuing to use the Services, following the adjustments of the rates, you accept such adjustments. Unless stated otherwise, all rates and charges for the Services shall be stated in US dollars (USD). 1.) The customer can purchase a credit on the VINOTA web platform entitling him to use VINOTA chargeable services at the prices shown on the list of prices applicable at the time. This credit becomes valid once the equivalent value has been paid or transferred by the customer. Payment is to be made in one of the manners shown on the web portal. 2.) The requirement for the customer to acquire a credit balance shall last until the customer's payment has been received by VINOTA without any possibility of it being reclaimed by the customer. Vinota credit does not have an expire date and Itâ€™s comes with a life time validity. The measurement of call duration is based on one-minute increments, meaning that the duration of a call is rounded up to the next minute. For example, if you call for 7 minutes and 10 seconds we will round up the call length to 8 minutes. Vinota do not take any responsibility in transferring the funds between Vinota accounts. Customers can transfer the funds to another Vinota account. Customer must take the full responsibility and must make sure the receivers account is correct. Vinota cannot reverse any transfers without the concern of the sender and receiver. You can cancel your account anytime. You can request cancellation by sending an email to support@Vinota.com . Customers can reach Vinota Support team 24/7. Vinota provides support to customers as follows. 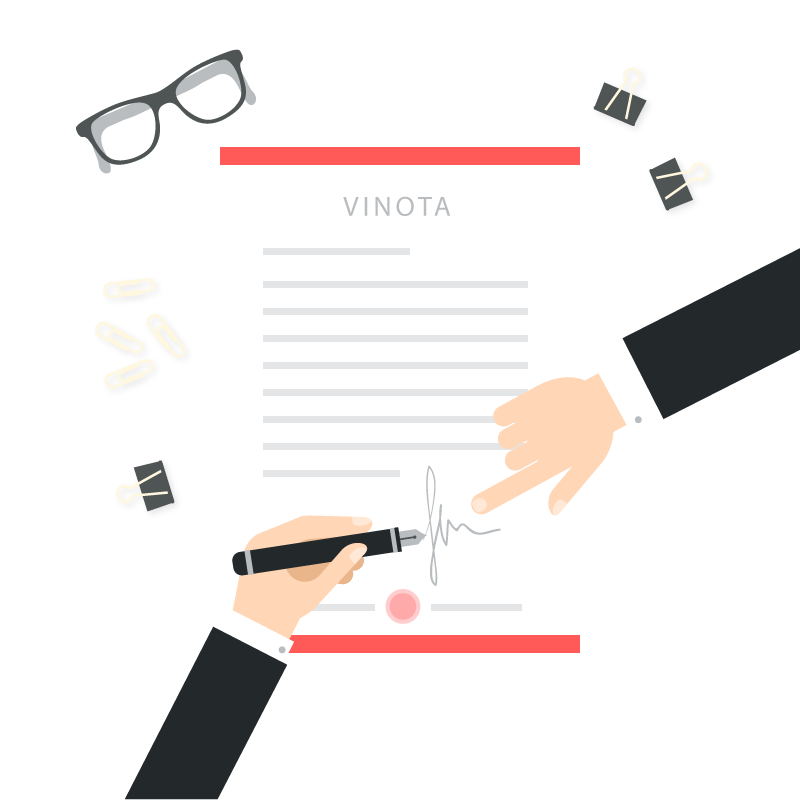 After registering for Vinota service, this Agreement permits you the non-exclusive right to use the Software, Service and the Site. The Software, Service and the Site are made available solely for use by you in accordance with the terms of this Agreement. You may not share, divulge or otherwise distribute the user name and password that is associated with your account with the intent to defraud or permit unauthorized or fraudulent use of the Vinota Service. If such use is detected, Vinota may suspend or terminate your account without notice. As stated above, no refund will be given. Should Vinota, in its sole determination, detect use of the Vinota Service in a manner that is inconsistent with the terms of this Agreement, Vinota shall have the right to terminate service to the account in question without notice, and no refund will be given. This includes, but is not limited to, the furnishing of false or misleading information by you to Vinota during registration for and/or subsequent use of the Services, Software or Site contained herein. The Software is made available solely for use by you in accordance with the terms of this Agreement. Any violation is expressly prohibited by law and may result in severe penalties. Violators will be prosecuted to the maximum extent possible. The Software that is available for download from this Site or any of the App stores is the copyrighted work of Vinota and/or its suppliers. Any redistribution or reproduction of the Vinota Software not in accordance with these terms is expressly prohibited by law, and may result in civil and criminal penalties. Violators will be prosecuted to the maximum extent possible. WITHOUT LIMITING THE FOREGOING, YOU MAY NOT COPY THE SOFTWARE TO ANY OTHER SERVER OR LOCATION FOR FURTHER REPRODUCTION OR REDISTRIBUTION. Vinota reserves all rights in the Services, Software and Site not expressly granted herein, including without limitation ownership and proprietary rights. Vinota offer communication service utilizing the VOIP(Voice Over Internet Protocol) however in some countries there are restriction using VOIP . The users should check the country regulation before using the vinota service. Vinota shall retain all right, title and interests in its trade names, logos, trademarks, service marks, trade dress, copyrights, websites, domain names and proprietary technology (collectively "Marks"), which shall remain the exclusive property of Vinota, and nothing in this Agreement shall grant you the license to use such Marks. All intellectual property rights in the Software, including, but not limited to, all copyrights, technology secrets, audio, images and text incorporated into the Software are owned by Vinota and/or its suppliers and are protected by United States copyright laws and international treaty provisions. Vinota shall retain all rights in the Software and its Marks, including, but not limited to, ownership and proprietary rights. You may not reverse-engineer, decompile or disassemble the Software in any way. The boundaries contained herein apply equally without stipulation to any updates or new Vinota products that may be periodically provided to you by Vinota.com. Vinota funds are available immediately on my vinota and APP after the payment but vinota has the right to hold the funds and request for customer identification to verify the customer. only few payments go under a manual review by Vinota underwriting department. Customer accounts who failed to verify will be suspended and will be prohibited from further use and payments. Payments that go under the manual review are only authorized from customers credit card or paypal. Payment hold will get automatically lifted in 4 to 5 days' time if the customer failed to submit the requested documents. Manual reviews can be converted to payments within 5 - 15 mins as soon as Vinota underwriting department receives the documents. Vinota 24/7 staff are available around the clock get the payments credited. Manual review can happen only once per card. Once the card is verified the customer funds will be available automatically in future payments. Customers can contact support@Vinota.com any time of the day to solve any issues regarding support or payments. vinota has the right to hold the funds any time if suspicious activity is detected. It will be shown with the typo (Awaiting Approval) under the payment history. 95% of the credit payments are accepted automatically but some payments are only authorized. Authorized payments go under a manual process. Vinota has the right to hold the payment until Vinota receive the requested documents. In order to release the payment Vinota require an image of Customer credit card only showing the Last Four Digit, Date of Expiry and Customer Name (Please cover all other digits). Payment hold will be automatically lifted in 4 to 5 days' time if the customer failed to submit the requested documents. vinota has the right to hold the paypap payment if a suspicious activity is detected. Vinota require the customer to verify your identity by sending valid proof of identity when requested. Payment will get credited to Customer account as soon as Vinota receive the document. In case customer fails to send any identity Vinota will be releasing your payment back to customers PayPal account in 3 days from the payment. Authorization can be converted to payments within 5 - 15 mins as soon as Vinota underwriting department receives the documents. LINKS AVAILABLE ON THIS SITE MAY ENABLE YOU TO LEAVE THE SITE. THE LINKED SITES CONTAIN OTHER TERMS AND CONDITIONS, ARE NOT UNDER THE CONTROL OF VINOTS AND VINOTA IS NOT RESPONSIBLE FOR THE CONTENTS OF ANY LINKED SITE OR ANY LINK CONTAINED IN A LINKED SITE, OR ANY CHANGES OR UPDATES TO SUCH SITES. VINOTA IS PROVIDING THESE LINKS TO YOU ONLY AS A CONVENIENCE, AND THE INCLUSION OF ANY LINK DOES NOT IMPLY ENDORSEMENT BY VINOTA OF THE SITE. Vinota cannot and does not guarantee or warrant that the Software or other files available for downloading from the Site will be free of infection or viruses, worms, Trojan horses or other code that manifest contaminating or destructive properties. You are responsible for implementing sufficient procedures and checkpoints to satisfy your particular requirements for accuracy of data input and output, and for maintaining a means external to the Site for the reconstruction of any lost data. You are responsible for taking precaution to ensure that whatever you select for your use is free of viruses, worms, Trojan horses and other items of a destructive nature. You agree to use the Service, Software and Site only for lawful purposes. You are prohibited from posting on or transmitting through the Service and Site any unlawful, harmful, threatening, abusive, harassing, defamatory, vulgar, obscene, sexually explicit, profane, hateful, racially, ethnically or otherwise objectionable material of any kind, including but not limited to any material that encourages conduct that would constitute a criminal offense, give rise to civil liability, or otherwise violate any applicable local, state, national, or international law. If Vinota is notified of allegedly infringing, defamatory, damaging, illegal or offensive content provided by you, Vinota may investigate the allegation and determine in its sole discretion whether to remove or request the removal of such content from the Service or Site. Vinota may disclose any content or electronic communication of any kind (i) to satisfy any law, regulation, or government request or (ii) to protect the rights or property of Vinota and its users. Vinota reserves the right to prohibit conduct, communication or content that it deems in its sole discretion to be harmful to individual users, Vinota, the communities that make up Vinota, or any rights of Vinota or any third party, or to violate any applicable law. Vinota reserves the right at all times to disclose any information as necessary to satisfy any applicable law, regulation, legal process or governmental request, or to edit, refuse to post or to remove any information or materials, in whole or in part, in Vinota's sole discretion. You expressly acknowledge and agree that use of the Services is at your sole risk and that the entire risk as to satisfactory quality, performance, accuracy and effort is with you. To the maximum extent permitted by applicable law, the Services are provided "as is" and "as available", with all faults and without warranty of any kind, and we hereby disclaim all warranties and conditions with respect to the Services, either express, implied or statutory, including, but not limited to, the implied warranties and/or conditions of merchantability, of satisfactory quality, of fitness for a particular purpose, of accuracy, of quiet enjoyment, and non-infringement of third party rights. We do not warrant against interference with your enjoyment of the Services or that the Services will be uninterrupted or error-free, or that defects in the Services will be corrected. No oral or written information or advice given by us shall create a warranty. Should the service cause any defects, you assume the entire cost of all necessary servicing, repair or correction. Additionally, you also understand that Vinota cannot guarantee that information or communications transmitted in relation to the use of Services will not be subject to interception by law enforcement officials or other third parties. TO THE MAXIMUM EXTENT PERMITTED BY APPLICABLE LAW, VINOTA DISCLAIMS ALL WARRANTIES, EXPRESSED OR IMPLIED, INCLUDING BUT NOT LIMITED TO IMPLIED WARRANTIES OF MERCHANTABILITY, FITNESS FOR A PARTICULAR PURPOSE, TITLE AND NONINFRINGEMENT WITH RESPECT TO THE SOFTWARE, SITE AND SERVICE AND ANY TRANSACTION PERFORMED THROUGH THE SOFTWARE, SITE OR SERVICE OR ON THE INTERNET GENERALLY. Vinota cannot and does not guarantee or warrant that the Software or other files available for downloading from the Site will be free of infection or viruses, worms, Trojan horses or other code that manifest contaminating or destructive properties. You are responsible for implementing sufficient procedures and checkpoints to satisfy your particular requirements for accuracy of data input and output, and for maintaining a means external to the Site for the reconstruction of any lost data. YOU ASSUME TOTAL RESPONSIBILITY AND RISK FOR YOUR USE OF THE SITE, SOFTWARE AND SERVICE. ALL SERVICES PROVIDED BY VINOTA ARE PROVIDED "AS IS". VINOTA DOES NOT WARRANT THAT THE SITE, SOFTWARE OR SERVICE WILL BE UNINTERRUPTED OR ERROR-FREE, THAT THE SERVICE WILL OPERATE WITHOUT ANY PACKET LOSS OR INTERRUPTION, OR THAT ANY DEFECTS IN THE SITE, SOFTWARE OR SERVICE WILL BE CORRECTED. VINOTA MAKES NO REPRESENTATIONS OR WARRANTIES AS TO THE QUALITY OF THE CALL OR ANY CONNECTION TO OR ANY TRANMISSION OVER THE INTERNET. SOME STATES DO NOT ALLOW LIMITATIONS ON IMPLIED WARRANTIES, SO THE ABOVE LIMITATIONS MAY NOT APPLY TO YOU. YOU ASSUME THE ENTIRE COST OF ANY DAMAGE RESULTING FROM THE INFORMATION CONTAINED IN OR COMPILED BY THE SOFTWARE. TO THE MAXIMUM EXTENT PERMITTED BY APPLICABLE LAW, YOU ACKNOWLEDGE THAT Vinota AND ITS SUPPLIERS OR LICENSORS WILL NOT BE LIABLE FOR (1) ANY DAMAGES WHATSOEVER (INCLUDING, WITHOUT LIMITATION, INCIDENTAL, INDIRECT OR CONSEQUENTIAL DAMAGES, DAMAGES FOR LOSS OF PROFITS, BUSINESS INTERRUPTION, LOSS OF PROGRAMS OR INFORMATION, OR OTHER PECUNIARY LOSS) ARISING OUT OF THE USE OF OR INABILITY TO USE THE SOFTWARE, SITE OR SERVICE, OR ANY TRANSACTIONS PROVIDED ON THE SERVICE OR DOWNLOADED OR HYPERLINKED FROM THE SITE, EVEN IF SUCH PARTY HAS BEEN ADVISED OF THE POSSIBILITY OF SUCH DAMAGES OR (2) ANY CLAIM ATTRIBUTABLE TO ERRORS, OMISSIONS OR OTHER INACCURACIES IN THE SERVICE AND/OR MATERIALS OR INFORMATION DOWNLOADED THROUGH, OR HYPERLINKED FROM, THE SITE. YOUR SOLE AND EXCLUSIVE REMEDY HEREUNDER SHALL BE FOR YOU TO DISCONTINUE YOUR USE OF THIS SITE, SERVICE AND SOFTWARE. SOME STATES DO NOT ALLOW THE EXCLUSION OR LIMITATION OF LIABILITY FOR CONSEQUENTIAL OR INCIDENTAL DAMAGES, SO THE ABOVE LIMITATIONS MAY NOT APPLY TO YOU. You agree to indemnify, defend and hold Vinota, its officers, directors, employees, agents, shareholders, licensors, suppliers and any third party information providers to the Site, Software or Service harmless from and against all losses, expenses, damages and costs, including attorneys' fees, resulting from any violation by you of the Agreement or asserted by any third party due to or arising out of your use of or conduct on the Site, Software or Service. The provisions of this paragraph are for the benefit of Vinota and its officers, directors, employees, agents, shareholders, licensors and suppliers to the Site, Software or Service. Each of these individuals or entities shall have the right to assert and enforce these provisions directly against you on its own behalf. This Agreement is governed by the laws of Australia, without reference to conflict of laws principles. This Agreement is the entire agreement between you and Vinota and supersedes any other communications or advertising with respect to the Software, Site, and Service. If any provision of this Agreement is held invalid, the remainder of this Agreement will continue in full force and effect. Vinota's failure to insist upon or enforce strict performance of any provision of this Agreement shall not be construed as a waiver of any provision or right. Neither the course of conduct between the parties nor trade practice shall act to modify any provision of this Agreement. Vinota may assign its rights and duties under this Agreement to any party at any time without notice to you. You are solely responsible for all activities that occur on or under the Account, regardless of whether the activities are undertaken by You or a third party and whether or not authorized. Vinota is not responsible for any unauthorized access to the Account. You are required to contact Vinota immediately to suspend the Services and block your Account if you suspect that your mobile phone or other device you are using the Services on ("Device") is stolen or otherwise that an unauthorized third party may be using the Account or if your password/PIN or any other account information is lost or stolen. You are responsible for all charges to your Account until the Services are suspended and the Account is blocked. You may terminate the Account and cancel the Service at any time in accordance with Section 4 "Termination and suspension". Vinota takes no responsibility for your failure to comply with the obligations in this Section "Unauthorized use, stolen device". The Terms of Service is effective until terminated by you or Vinota. You may terminate the Terms of Service (cancel the Account, the Services etc.) at any time, through your settings in the Account or by sending Vinota a termination notice to support@Vinota.com (the Account will be cancelled within five (5) days of receipt of such notice). subject to any proceeding under bankruptcy, insolvency, liquidation or similar laws. In addition, the same rights shall apply to Vinota in relation to fraudulent calling patterns, excessive usage, billing irregularities, or misuse of service promotions or campaigns; or if required due to a change in laws/regulations by a regulator or authority with a lawful mandate in any particular territory; or if required by any of Vinota's service providers. You acknowledge and agree that Vinota is under no obligation to provide the Services, and that Vinota shall not be liable to you or to any other party for any limitation, suspension, discontinuance, termination or modification of the of the Services and/or the Terms of Service. Vinota reserves the right to cancel the Account if it has been inactive for more than one (1) year. On termination for any reason: all rights granted to you under the Terms of Services shall cease; you must immediately cease all activities authorized by the Terms of Services, including your use of any Services; you must immediately delete or remove the App, the Software and other parts of the Services (where applicable) from all Devices, and immediately destroy all copies of the same then in your possession, custody or control. Vinota shall effect the termination by preventing your access to the Account or other parts of the Services, where applicable. 1.) It is important to VINOTA that all eligible VINOTA customers are able to access our Services. All promotions which are advertised by VINOTA as subject to the Fair Use Policy ("Fair Use Promotions"). 2.) We reserve the right to vary the terms of the Fair Use Policy from time to time. 3.) Participation in a Fair Use Promotion is excessive or unreasonable, as defined below. In the case of Fair Use Promotions, what is excessive use will either be advertised by VINOTA at the time of the relevant promotion or included in this Fair Use Policy prior to the commencement of the relevant promotion. 1.) It is unreasonable use of VINOTA Services where your use of VINOTA Services is reasonably considered by VINOTA to be fraudulent or to adversely affect the VINOTA Network or other VINOTA customers' use of or access to a VINOTA Service or the VINOTA Network. 2.) It is unreasonable use of a Fair Use Promotion where your participation in a Fair Use Promotion is reasonably considered by VINOTA to be fraudulent or to adversely affect the VINOTA network or another VINOTA customer's use of or access to a VINOTA service or the VINOTA network. 3.) Among other things, "fraudulent use" includes resupplying a VINOTA Service without VINOTA's consent so that someone else may access or use VINOTA or take advantage of a Fair Use Promotion. Vinota reserves the right to terminate the Site, Software and/or Services offered by Vinota and/or your use of the Software, Service and Site at any time with prior notice of thirty (30)days. You may terminate this Agreement at any time simply by ceasing to use the Software, Site and Services.